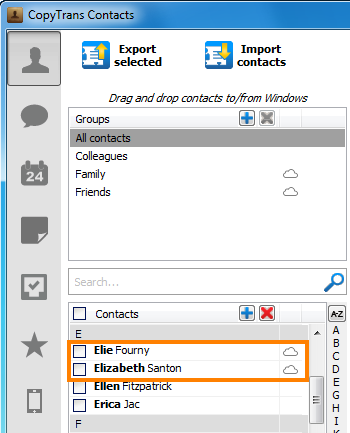 How to transfer iPhone contacts between cloud accounts? 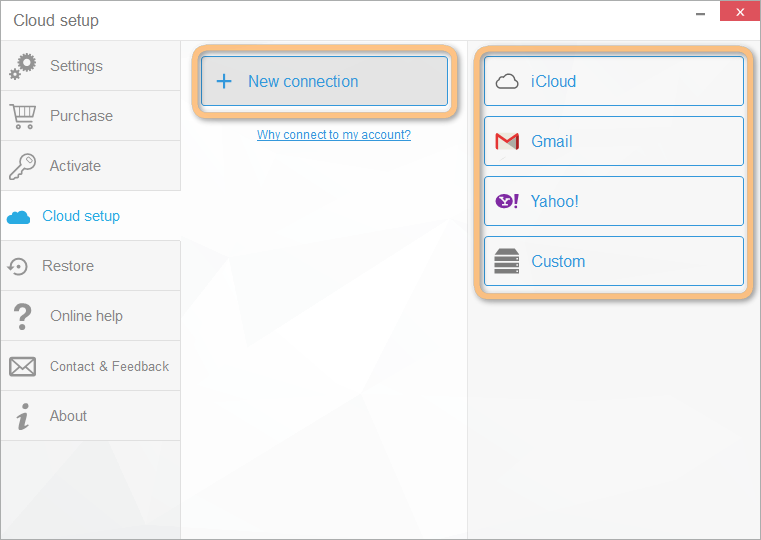 Home » How to transfer iPhone contacts between cloud accounts? 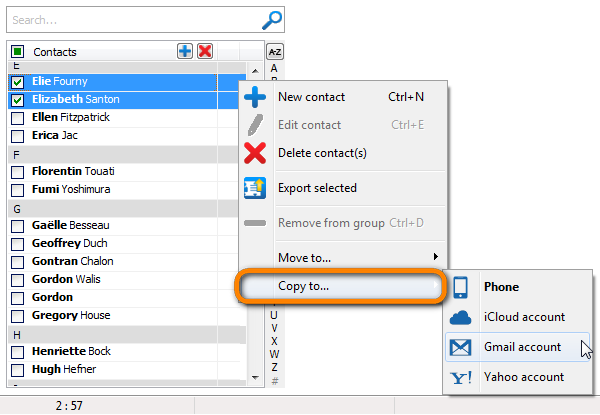 CopyTrans Contacts allows you to transfer contacts between your iPhone, iCloud, Gmail and Yahoo. 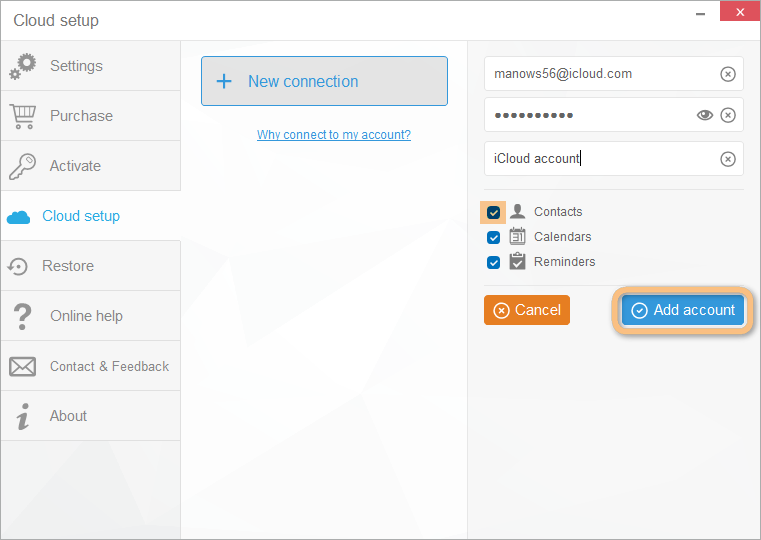 This means that you can easily copy local iPhone contacts to a cloud account as well as transfer contacts from one cloud account to the next (i.e. from iCloud to Yahoo or from Yahoo to Gmail, etc). 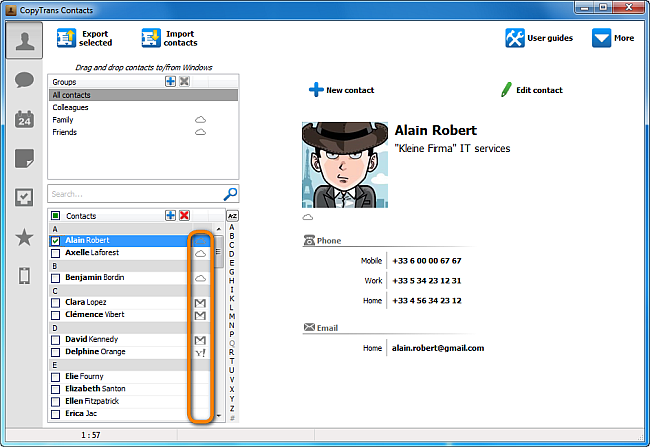 You can do all this in a few clicks via using CopyTrans Contacts’ simple and integrated interface. All iPhone models, including the iPhone 8, iPhone 8 Plus & iPhone X are supported. Run CopyTrans Contacts and connect the iPhone, iPad or iPod Touch. 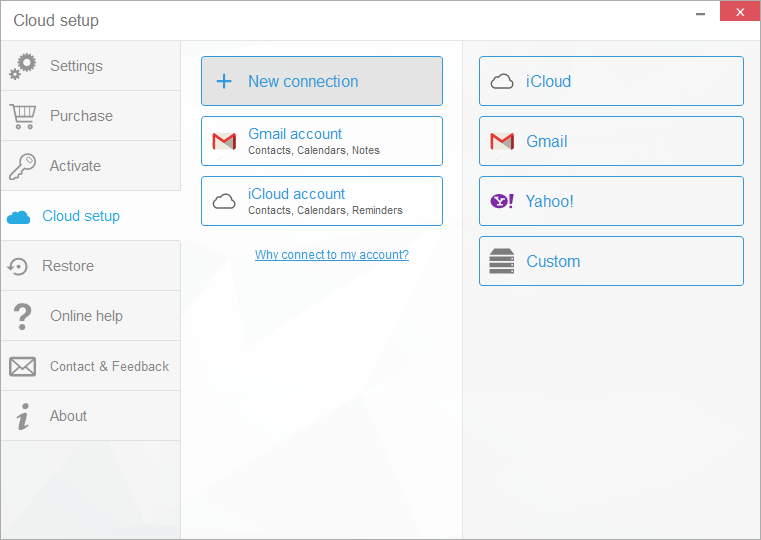 NOTE: If you experience trouble connecting a cloud account, please check this troubleshooting article for iCloud, this article for Gmail and this article for Yahoo. 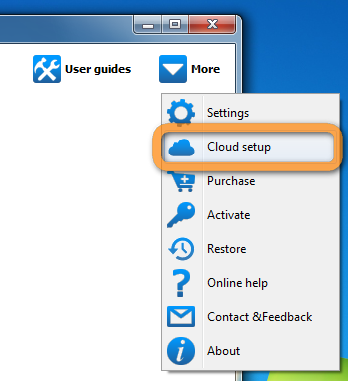 Once you finished adding all the desired cloud accounts, close the “Cloud setup” window. Let the program load all your iPhone and iCloud, Gmail or Yahoo contacts. Contacts sourced from iCloud are marked by a small cloud icon. Contacts sourced from Gmail and Yahoo are designated by the Gmail and Yahoo logos. Contacts without a logo to the right are entries which exist locally on the iPhone. Let’s say you would like to transfer two of the local iPhone contacts to iCloud. To do so, select each contact by checking the box next to the entry. Right-click the selection and choose “Move to…”. Next, select your iCloud account from the list. TIP:You can follow our tutorial on how to transfer On my iPhone contacts to Google contacts. The two local contacts are now transferred to the iCloud account and removed from the phone memory. If you enabled iCloud contact sync on your iPhone, you would still see the contacts from within the device – this time – as sourced from iCloud. NOTE: if you use the “Copy to…” feature instead, CopyTrans Contacts will essentially create a copy of the selected contacts to the cloud account of your choice and keep the original contact entries. 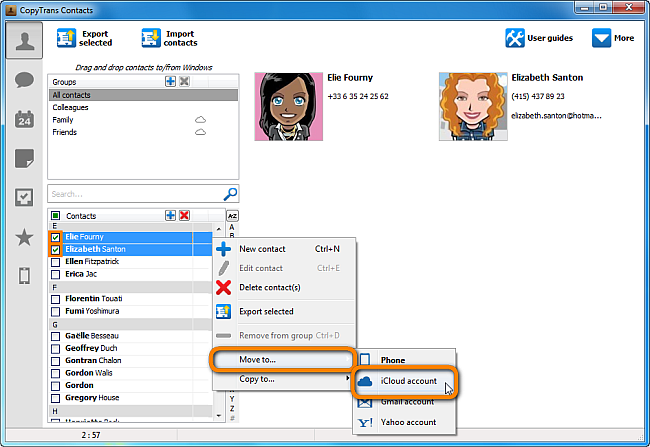 You can use the method described above to transfer contacts between any two cloud accounts or the local iPhone memory. For example, you can choose to move all local iPhone and Gmail contacts to iCloud, etc. 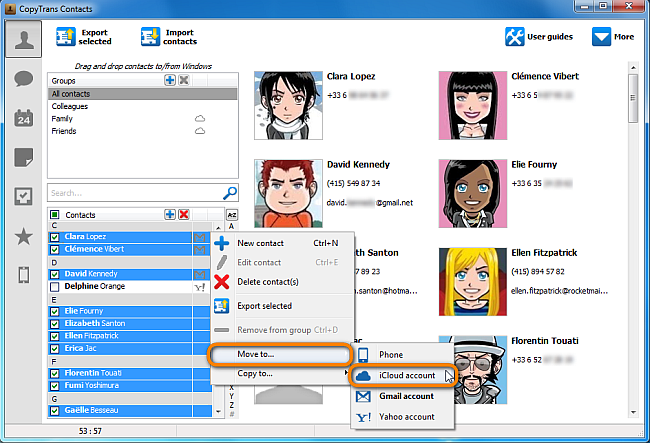 CopyTrans Contacts provides a single integrated solution to transferring iPhone contacts between multiple cloud accounts at the click of a button.